There is a report that says that 98 helmetless driver died per day in India last year, and 79 car occupants lost their lives every day in accidents because they were not wearing seat belts. Using mobile phones while driving also claimed about nine lives every day. The report was based on the state police and transport department that was released on Monday. The report shows a slight decrease in the total number of fatalities — from nearly 1.51 lakh in 2016 to about 1.48 lakh in 2017. It has also been noticed that there is number of people dying because of failure to use safety gear or devices. The differences are as follows: fatalities caused by not wearing crash helmets rose to 36,000 in 2017 as compared to 10,135 the previous year. Tamil Nadu had the highest share of these at 5,211, followed by UP with 4,406 and Madhya Pradesh third with 3,183 lives lost. The study also says that 48% of the people who died were pillion riders and they are the passenger behind a motorcycle. 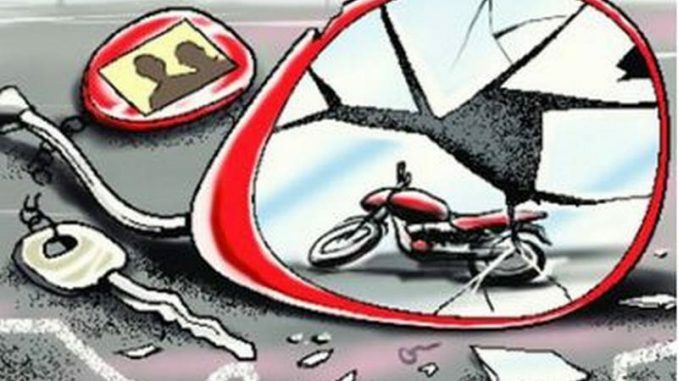 Gujarat was the only state with the death of more pillion riders compared to other states. In the study it states that Karnataka stands first in the death rate in cases where not wearing seat belts, it says that almost 4,035 people in maximum died, followed by TamilNadu 3,497 and Uttar Pradesh stands in the third place with 1,512 death rates. Maharashtra was even worst as the drivers use mobile phones while driving and there are 282 people who are dead, and in Orissa it is 257. The road safety experts says that this highest jump in the figure is because of violating the traffic rules. The report says that 67% of the road accidents are happening because of speeding and violating the rules, and the other major issues are failure to use safety devices, use of mobile phones, drunk driving. The Government resolution has come handy for us as our campaigns are now having a deterrent effect. Most traffic violations attract a paltry fine, which is not enough to prevent a motorist from breaking the law,” said joint commissioner (traffic) Milind Bharambe. But the power of the license stays with RTO. This means that traffic police should also work with RTO officials at the junctions so that they can work better. The RTO department has only limited man power so it is difficult for them to work more and concentrate on the road safety. If the campaign has to be severe and has to last for a long then the power of the suspension of license should be handed over to the traffic police so that even they will have the authority to take action regarding license. Helmetless riding stands first in the violation, offences such as lane cutting, signal jumping are far more serious as they are fatal not only for the drivers but also for pedestrians. Transport expert Ashok Datar said that apart from drunk driving cases, fines for other cases has remained unchanged for over the years. There should be a change in the amount of fine so that it helps a lot. There should be camera inserted so that we can automatically detect when a vehicle is speeding. Such cameras have been inserted in the eastern freeway. The Road Transport and Safety Bill proposes steep penalties of up to Rs. 3 lakh, along with a minimum 7-year imprisonment, for a death of a child in certain circumstances, but the law has not be passed in the parliament yet.